Many of us have a home “office”. Maybe it’s a corner of your living room. Maybe it’s half of your den. My parents had one of those secretary things that looked like a hutch with a desk that pulled down, like a Murphy Bed. I have two Ikea tables on legs that I got on clearance at Office Max, before they officially deserted Long Island *sniff*. There’s a lot of room (and a lot of mess!) and it needs to be tidy because not finding things upsets me greatly. Yup. I’m in the process of reorganizing my entire desk. 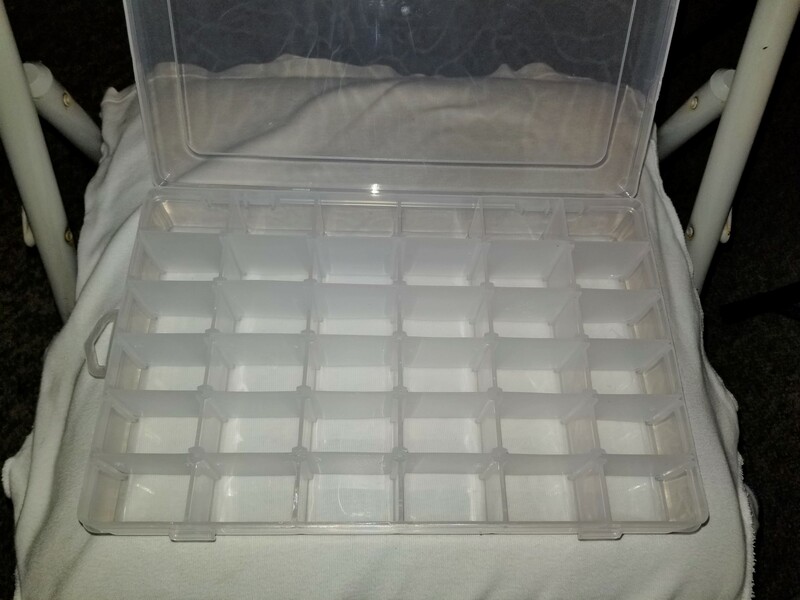 Thanks to Tomoson, I found a chance to try the Lasten Plastic Organizer Box at a big discount in exchange for a review and social media posts. I have used cases like this before. Mini has her beads in one. 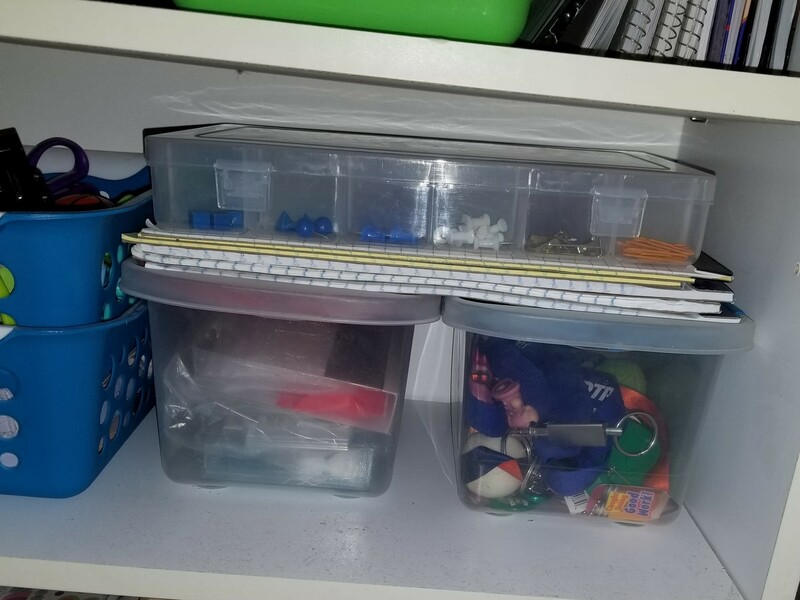 For the purpose of this review, I used it to sort my small office supplies. More specifically, paper clips and push pins. 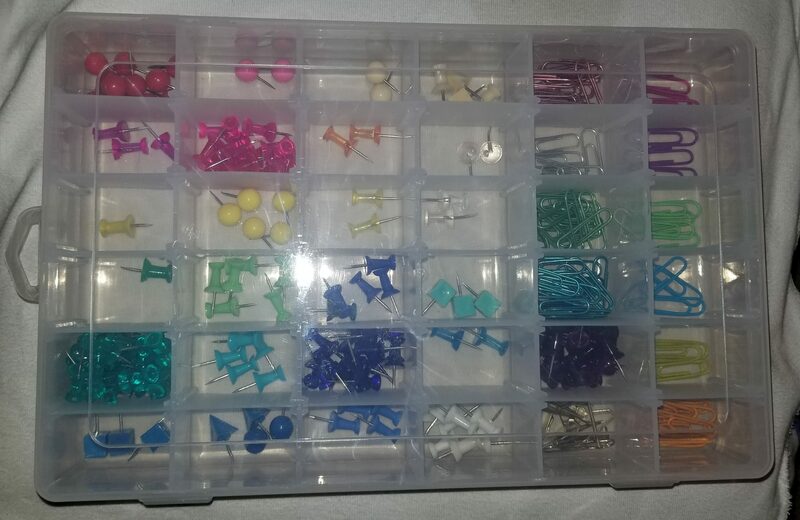 They kinda need to be sorted by color because I use them based on the color of whatever I’m hanging up or whatever document I’m clipping together. This Lasten case was the perfect solution! I told you! Sorry.. the lighting in my house is horrible, but you get the idea. Lots of different colors for color-coordinating things (for instance, all my St Patrick’s Day signs that I leave up year-round are on green push pins). 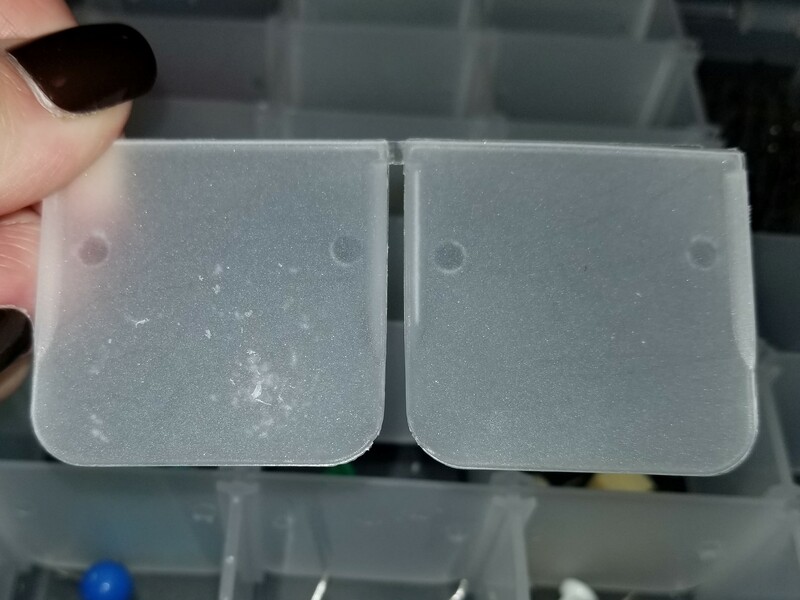 I had one TINY gripe with the box.. the dividers. 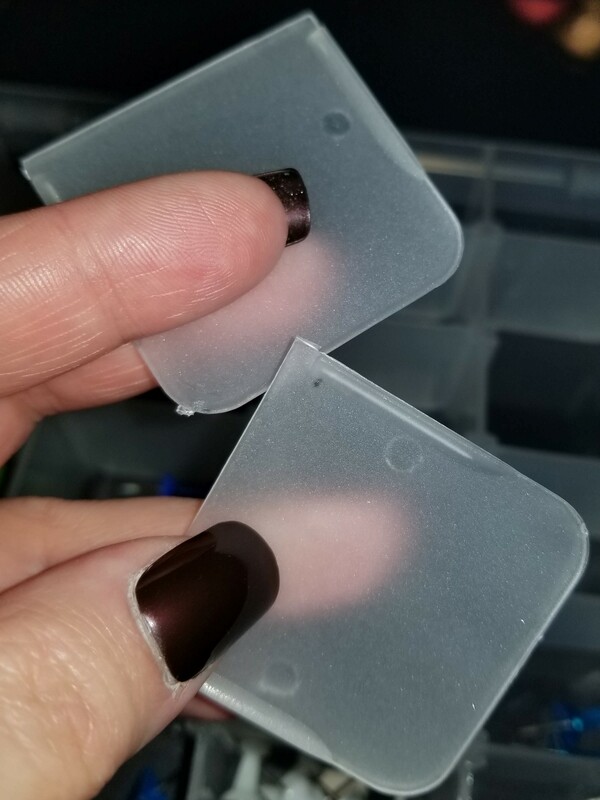 They were not ready to be separated so I had to cut them, but at least they still fit snugly when I put them back in the case and you are able to remove them for larger items. Once the lid was on, there was a tight enough seal that none of the pins or clips floated to another part. I even shook it to be sure. The clips didn’t slide underneath the barriers either. Score! It’s a great size (it even fits in my messenger bag if I need to transport) and stores easily on my shelf. 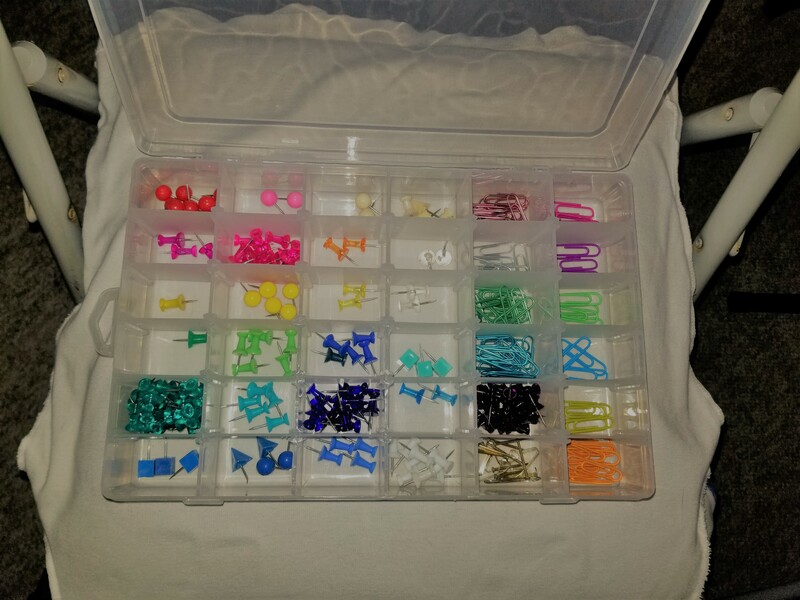 It has plenty of room for all the clips and pins, PLUS I just eliminated 7 tiny jars and boxes from my desk! YAY! The case is just smaller than a legal size notepad, as you can see from the last pic. I highly recommend it. I do intend on acquiring more to sort out all the little supplies I have around my desk because it’s time to organize! This is not my affiliate link, but you can find the organizer HERE on Amazon. Thanks to Lasten and Tomoson for the opportunity to test this awesome case out!